Livoxil capsules are specially formulated ayurvedic herbal liver detox pills that improve liver health in a natural and efficient way. 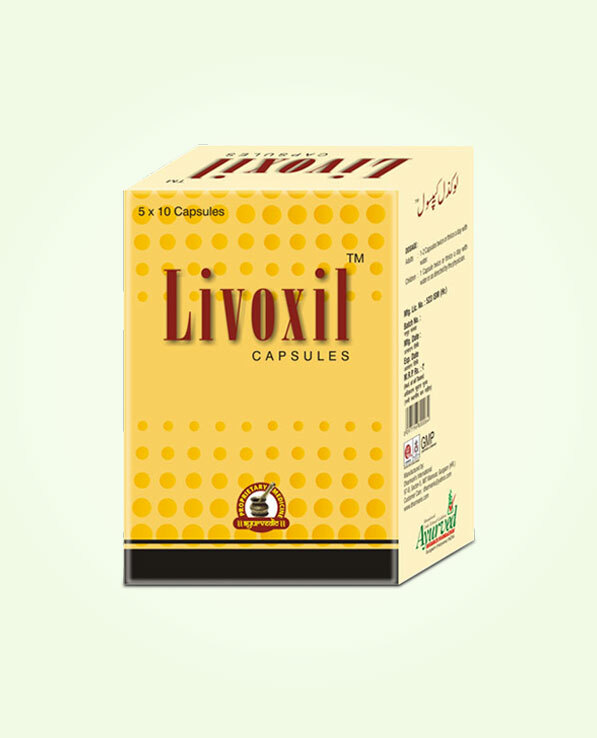 Buy Livoxil capsules online in India and maintain optimum health. Liver plays many crucial roles which are necessary for health and also for life. This organ is prone to suffer with toxicity which poses serious threat to health. Herbal liver detox pills help immensely in keeping this vital organ healthy and protected from harmful toxins. 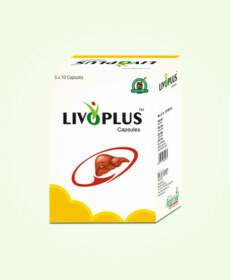 Livoxil capsules are wonderful herbal supplements to improve liver health. 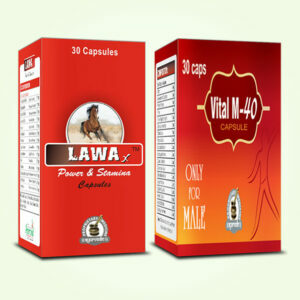 These capsules possess highly effective herbs which nullify toxins present in blood and protect liver cells from damage. These promote healthy liver functions to maintain optimum health and also curb side effects of ageing, poor diet and harmful foods and drinks like excessive alcohol. The herbal ingredients of Livoxil capsules flush accumulated fat in liver, these capsules contain herbs which diffuse fat and treat fatty liver condition. When person is consuming too much toxins through diet and drinks these get absorbed in blood and reach liver, the herbs present in these herbal liver detox pills cast a protective layer to save liver cells from hepatic parenchyma. Herbs present in these supplements protect liver from infections like hepatitis A, B and C and also prevent conditions of cirrhosis. These treat enlarged liver and maintain its functions and improve production of bile for better metabolism. These supplements also protect spleen functions. These enhance liver’s ability to metabolize fat and perform protein synthesis to maintain optimum energy in the body. The ingredients of Livoxil herbal supplements to improve liver health are sources of antioxidants which enhance flow of blood within liver and improve cell generation. These ingredients are powerful purgative and possess strong antimicrobial properties to detox the organ efficiently. These herbs take load off the liver and allow it to regenerate its damaged tissues to regain optimum performance. Livoxil ayurvedic herbal liver detox pills possess herbs like Punarnava, Kutki, Chitrak, Daruharidra, Guduchi and others. These are anti-toxin and anti-inflammatory, these are sources of antioxidants and possess purgative and antimicrobial properties to provide liver a breather and allow it to regain optimum health. These are effective in reversing toxicity occurring due to poor dietary intake and alcoholism, these also reverse ill-effects of long term medication or treatment. These supplements are great for ageing individual to stay high on energy and maintain health. These ayurvedic liver detox pills are purely herbal hence are safe for person of any age, these do not cast any side effects even after prolonged use and can be taken without any prescription. Plumbago zeylanica (Chitraka), Boerhaavia diffusa (Punarnva), Embelia Ribes (Vayviding), Tinospora cordifolia (Guduchi), Berberis aristata (Daruharidra), Picrorhiza kurroa (Kutki), Terminalia chebula (Harad), Stallum (Bang Bhasma), Fumaria officinalis (Pitpapda), Tamarix gallica (Jhabuka), Tephrosia purpurea (Sarpunkha), Achillea millefolium (Branjasif), Phyllanthus niruri (Bhui amla), Phyllanthus emblica (Amla), Cassia occidentalis (Kasmard), Solanum nigrum (Makoy), Cyclamen persicum (Bakhur-E-Mariyam), Cichorium intybus (Kansi), Terminalia arjuna (Arjun), Capparis spinosa (Himsara) and Mandur bhasma (Mandur bhasma). Take 1 or 2 Livoxil capsules for 3 to 4 months in a regular manner to see the most beneficial results. My liver’s condition deteriorated due to my alcoholic problems. I needed something that would help me take care of my liver. I quit drinking and started taking these pills. It indeed helped me cure my liver problem. Best capsules ever! Good liver support pills. I really observe a noticeable difference in my liver health. Great product.